As you market your real estate skills, the time will come when you will have to fork over some money for advertising. One of the most commonly used platforms are Facebook ads for real estate. It can be hit or miss for many agents, but mostly a win if you know how to do it right. Facebook ads have a long shelf life in terms of the impact they will make on your real estate business. If you want to build brand awareness, then this is where you should focus much of your dollars. Facebook ads provide an excellent way to advertise your real estate business. You can drive traffic to your real estate landing page for lead generation purposes. Advertise your newest listing to increase awareness. Get more visitors to your open houses. Invite people to a local home buyer workshop or first time homebuyer seminar. Promote and build your own real estate brand in general. The possibilities of using Facebook ads for real estate are limited only by your imagination. Facebook uses interests to match your ads to them versus keywords. They provide a deeper connection with leads because you are being matched based on the actual person and not just a random search they are conducting. It’s important to pay close attention to your targeting strategy and to continually change up your targeting to make sure you are hitting the right audience to see more leads. The targeting and messaging options in Facebook are quite dynamic versus other ad options. You can create very timely, tailored messages that will appeal to specific demographics in certain geographies that you choose and can change any time. Think generation demographics, for instance. Your message will be very different to a millennial than a baby boomer, right down to the image you use. Add the geographic area you desire, and you’ve got a highly targeted campaign that will give you a good chance of attracting customers. 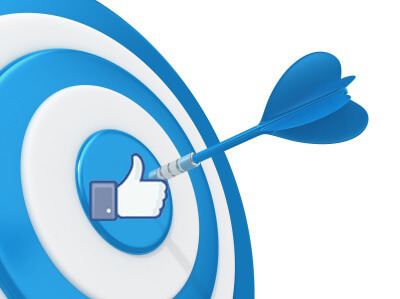 Examples of targeting options for your Facebook ads for real estate are age, location, homeowner, the type of home they live in, if they are married, if they have children, or even target those living in apartments. Facebook ads have evolved since in recent years so that the advertising is more native. You can show up on the sidebar of a person’s page or pay for sponsored content in their feed. Native advertising like this sneaks up on your target audience and gets them at a good time when they are more likely to take time to read your initial ad and click if they are interested. For all this, Facebook ads don’t cost much and are easy to turn on and off so you can change your campaign as you need to. Facebook is a cheap ad alternative but shows to have a longer conversion time. Because you target Facebook ads based on demographics rather than keywords, those seeing your ads may not necessarily need your services right now – but they may in the near future. You will have to get pretty analytical and creative with your targeting and marketing in order to hit the most likely potential real estate clients. Understanding the trends in your area along with the who, where and why will give you the information you need to be more crafty and successful on Facebook. Having a CRM that is good with automated follow up is a good idea as well so you don’t let those leads go to waste. In addition, Facebook’s algorithm tracks all your activity from your page and ranks ads on feeds based on that activity. Be sure to engage with others’ pages by commenting, liking and sharing posts from other pages often. Posting daily (you can auto-schedule your posts) can also help boost your ads and at the same time, your ads will help get more exposure to your page and your posts. By using Facebook ads for real estate as part of your regular marketing strategy, you can generate more consistent, targeted leads and maximize your presence on the most popular social media outlet out there. Have you tried using Facebook ads for real estate lead generation? What was your experience?